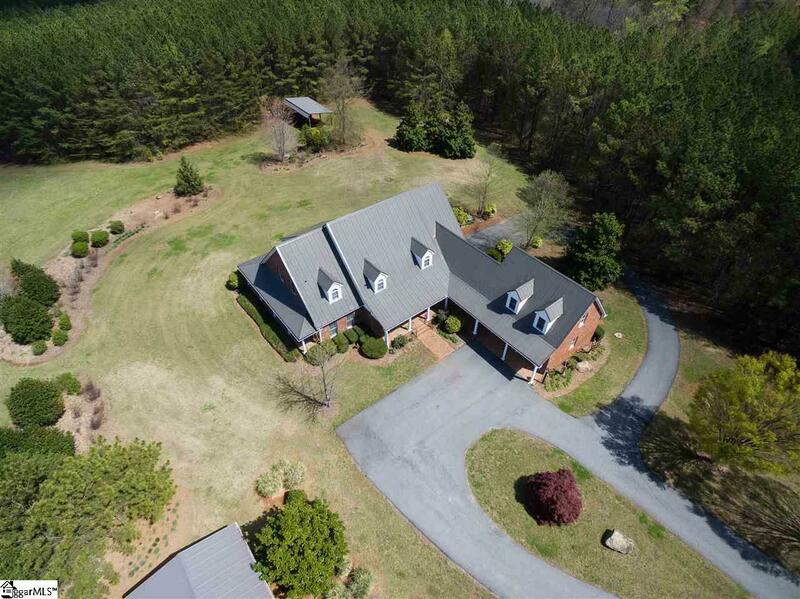 Spectacular home in the foothill's of the Carolina's! This gorgeous custom built home offers many quality details throughout. The moment you enter through the front door the home creates a welcome home environment. Two story foyer offers spacious entry. Enjoy gourmet inspired meals in the dining room. Kitchen with cherry cabinets, granite tops and stainless appliances is the perfect space to enjoy family and friends. Living room flows into the outdoor area, where covered porches offer spectacular space to relax and rest your eyes on the breathtaking mountain view. Master on main level with guest bedrooms and baths upstairs. Office/den on main and two flex room upstairs with closet space. Property consist of 28.40 acres. Spend evenings in the covered outside entertainment area with a glass of wine dining alfresco. Then step out and be enchanted by the evening while gazing at the stars! Great potential equestrian property. This property located close proximity to Greenville, Spartanburg, Asheville and TIEC. Also, conveniently located near Landrum where you can enjoy all the local amenities. Welcome Home to the Carolina's! Listing provided courtesy of Susan Jackson of Century 21 Blackwell & Co.